It may not appear, to the outside world, that I am an organized person. I can tell you precisely what box my Girl Scout uniform from the 3rd grade is in. I was able to pull receipts for parking from an event back on June 20th 2011 from my purse (which was 4 purses ago) because that is exactly where I put it for ‘safe keeping’, and complete my taxes with time to spare. Eric always gets so mad that he can look for things for hours and not find it but then ask me and I can immediately find it. And even I can’t find it anywhere. When this happens I become this monster. Cursing and yelling and throwing things. But how can I, the queen of ‘organization,’ loose something. I get the maddest when I misplace a recipe. All that time and hard work gone. I have been trying to immediately type up my recipes as I make them but sometimes I just jot them down on a piece of paper, and then well, you know, what happens next- I lose it. Anyways, the whole point to all of this, is that I misplaced the recipe I had planned for today. I know, I almost can’t live with myself! But good thing we eat Mexican food at least once a week. Which translates to “I-try-a-lot-of-new-recipes” and have a whole backlog of Mexican recipes to blog. 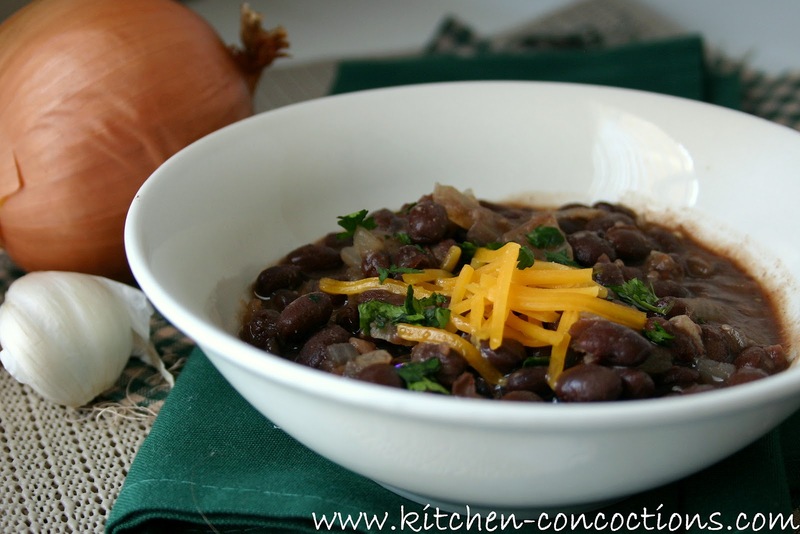 So since my original choice for today didn’t work out you get this easy, peasy, and tasty recipe for black beans. I mean really, a Cinco de Mayo feast really couldn’t exist without black beans. That’s why I got you covered! In a saucepan on the stove, heat the olive oil to medium-high heat. Sauté onions for about 3 minutes or until they just start to become translucent. Add garlic and sauté for about 30 seconds more. Add beans, broth, and remaining seasonings and bring to a boil. Reduce heat to a low simmer and simmer for about 5-7 minutes, stirring occasionally. 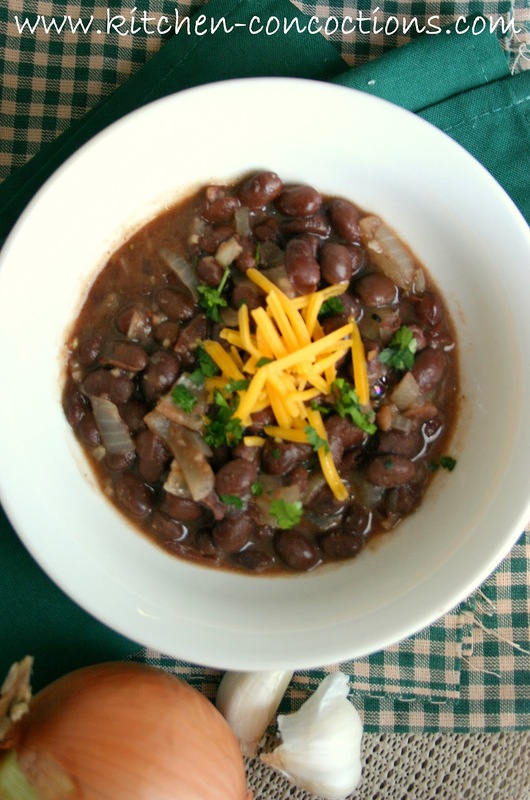 When beans are done cooking, remove from heat and add in fresh lime juice. Then use the back of a spoon or rubber spatula so mash ¼-1/2 of the beans, just to thicken the mixture. Serve topped with cheese or as desired. 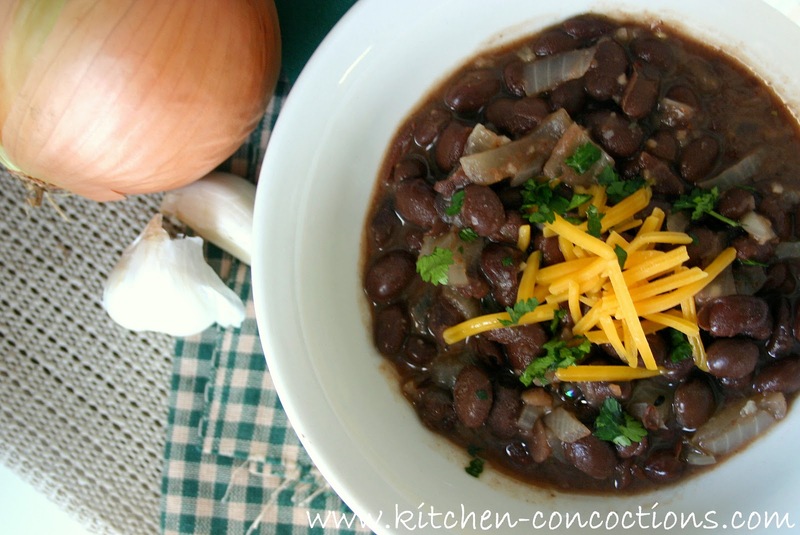 I love black beans and your twist on them in this recipe, Heather! Great side dish idea!